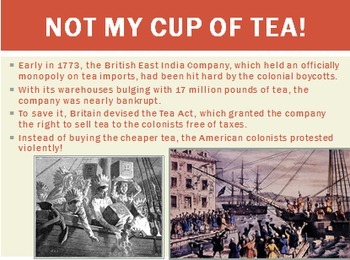 I use this PowerPoint in the teaching of the American Revolution in United States History. 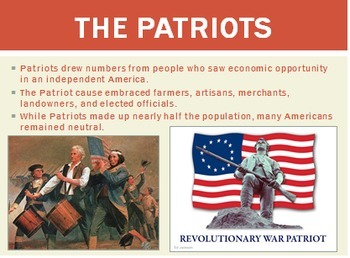 This PowerPoint is 76 slides in length and serves as a great resource to teach your students about the key events, peoples, and outcomes of the American Revolution. 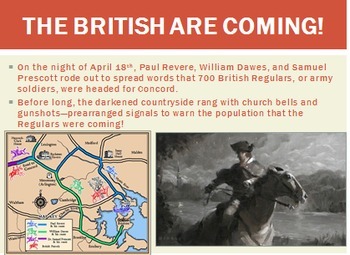 Specific topics included in this PowerPoint are the organization of the colonies and the Stamp Act, the Townshend Acts, the Boston Massacre, the Boston Tea Party, the Intolerable Acts, major battles such as Lexington & Concord along with Saratoga, the Declaration of Independence, and the Treaty of Paris. 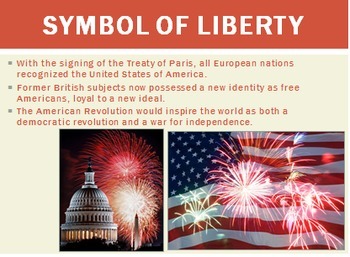 Each slide also has great pictures and animations included to make the learning experience more enjoyable.